I began my studies in 2000 after joining a WEA botanical illustration course for beginners. 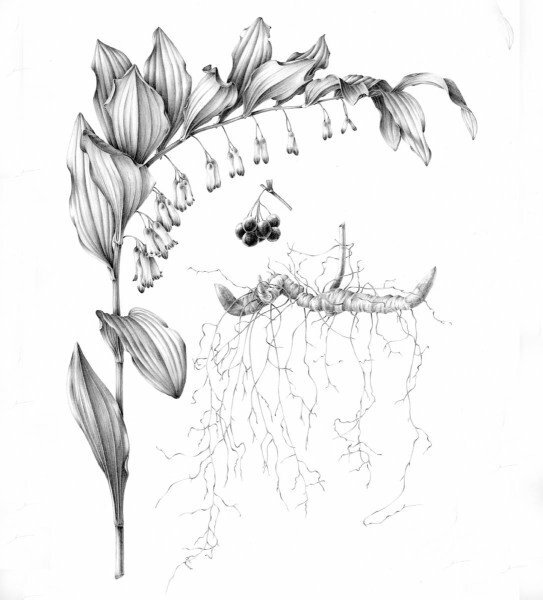 I first exhibited at the Society of Botanical Artists annual exhibition in 2007, became an Associate Member of the SBA in 2008, and a Full Member in 2009. 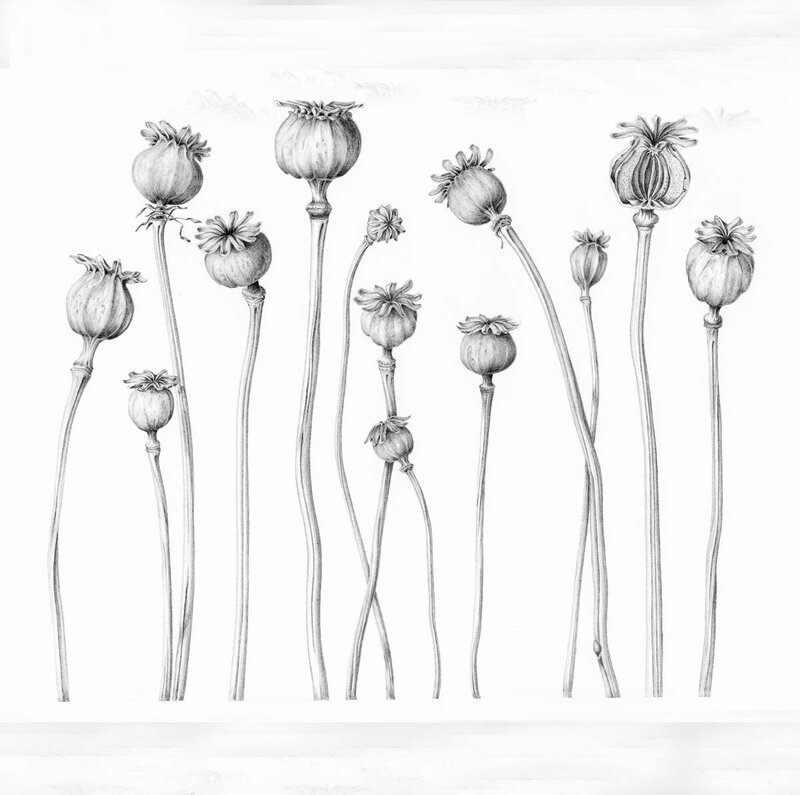 Working as a full time artist and tutor of botanical illustration, I have been teaching botanical illustration to adults since 2004, running courses and workshops both within the UK and abroad. I love to draw, having a preference for a pencil in my hand rather than a paintbrush, and use either graphite or coloured pencil as my main medium. Within the traditions of botanical art, I prefer to work from live specimens. This enables me to record all the tiny details that are often missed when working from a photograph. My inspiration comes in many forms. 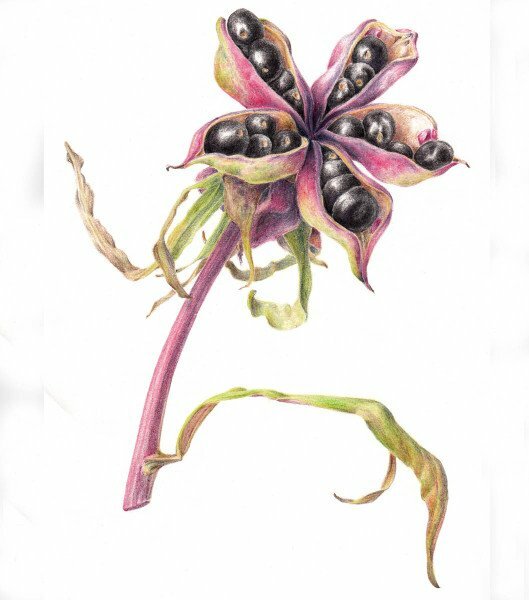 When working in coloured pencil it is the colour as well as the shape of the plant that attracts me. There is no consideration of colour when working in graphite. Instead it is the intricate structure and detail of something that’s twisted and dried up for the part that attracts. I particularly enjoy the structure of ferns and seed pods and feel that they make perfect subjects in either graphite or coloured pencil. My work in forms part of many private collections including the RHS Lindley Library, the Hunt Institute in Pennsylvania, and the Plant Sciences Division of Nottingham University. Botanical Drawing using Graphite and Coloured Pencils by Sue Vize (Crowood Press) is due for release in June 2016.